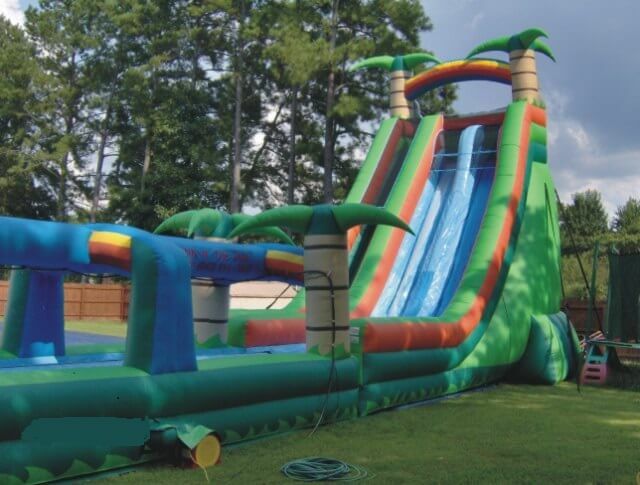 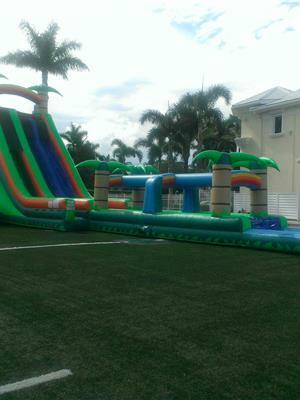 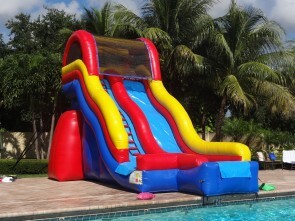 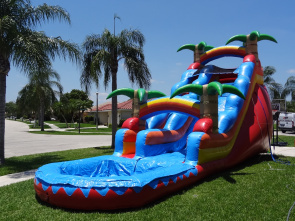 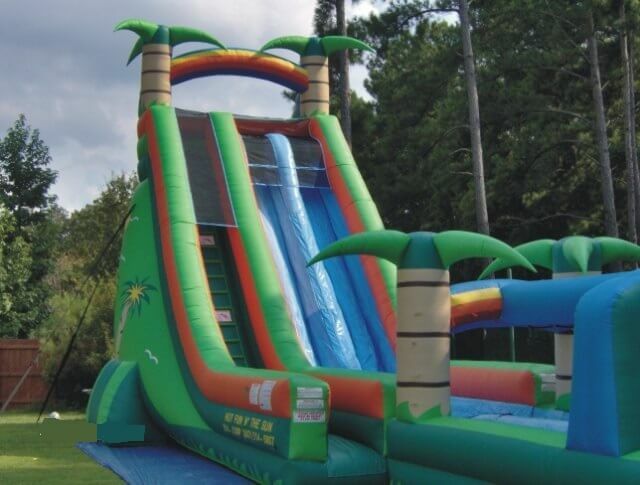 “Batten Down the Hatches” the 30ft Tall Tropical Storm dual lane water slide is here. 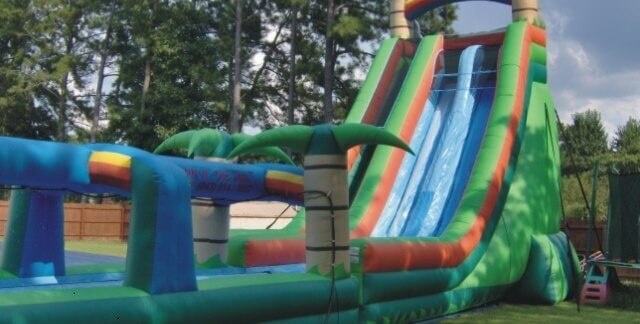 This HUGE water slide is as fast as as they come…. 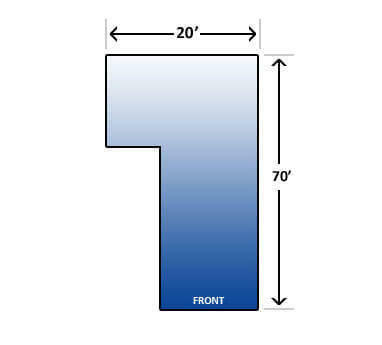 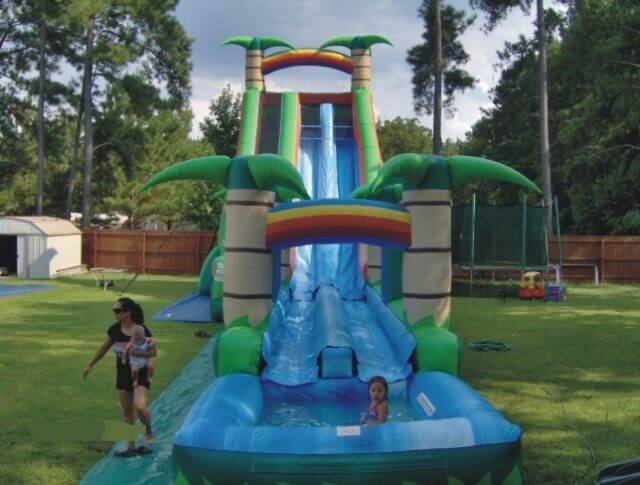 with a super steep sliding angle and refreshing pool to end your ride! 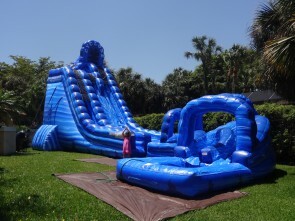 Great for all ages!